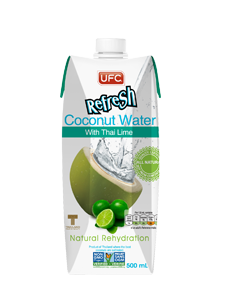 UFC Refresh Coconut Water with Thai Lime is carefully selected the best Thai lime with fragrant, white flesh combined with 100% coconut water. The drink gives a pleasantly sweet and sour flavor. This re-energizing coconut drink makes a great palate really refreshing.